HOLY COW we are 24 weeks! This past week I have had a surge of confidence. A washing over of faith. I am completely in awe of Ashley. First, how good she looks. Second, how she just embraces this experience, runs with it and maintains a positive attitude all at the same time. Last, I just appreciate this experience WE get to have together. I am so happy that she is completely supported by everyone around her. A few ladies from church said it best, "We have just never seen such a gift of love." I feel like my heart could burst at any second. We got to visit our babies last week. We crammed so much into a handful of days, but it was truly the BEST TRIP EVER. Let me just tell you about ALL the fun we had. First, we surprised my niece with killer seats to the Taylor Swift show. It was so much fun watching her sing and dance. We followed up the concert with some serious shopping! Ashley let me spoil her a bit (which I love to do)! And in return she bought the babies their going home outfits! I am finally enjoying shopping for these babes! Then we got to go to an ultrasound appointment! Babies we not cooperating for any 3D viewing, but they were extremely active. I was so nervous going to the appointment. She is doing so well and I haven't been there, I felt that by going to the appointment I would jinx her. My heart was pounding as the ultrasound started. I have become pretty savvy at reading ultrasounds (I have had a lot) and I know what to look for. I was so afraid it wouldn't be there. But once again, faith not fear. We spent the afternoon at the South Carolina State Fair. An experience all on its own. We got to see my youngest nephew's soccer skills. We hit up the local trampoline park (no pics because I was too busy jumping and peeing my pants)! 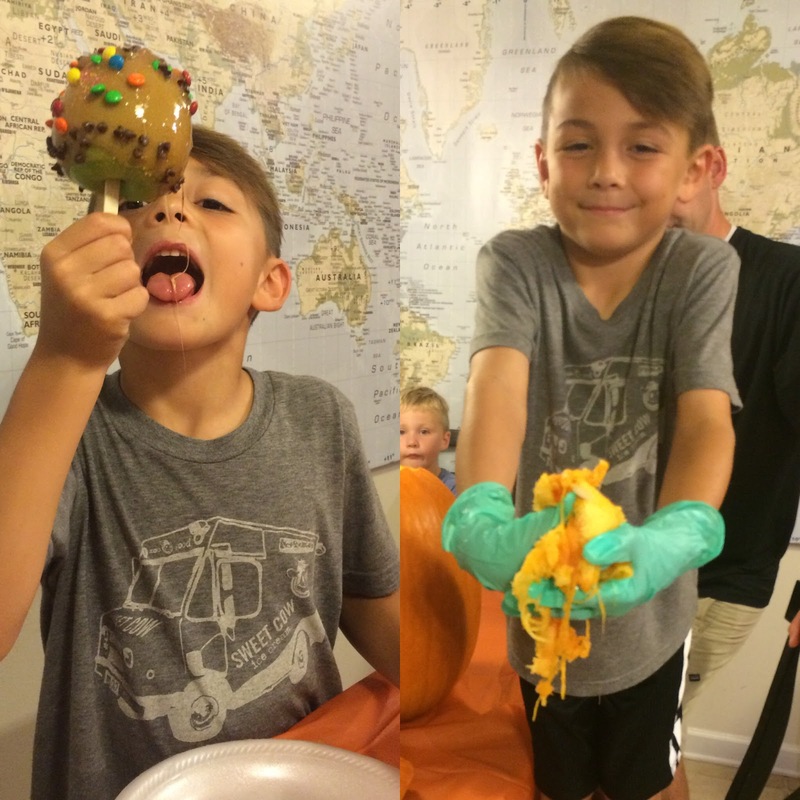 The pumpkin patch was next followed by a night of carving and caramel apple making! The grand finale was seeing the kids perform in the Primary Program at church followed by a low country boil. It was a busy few days....but so much fun. T-shirts were a gift from the babies! To be worn on delivery day! I love visiting with Jason's family. I love spending time with my niece and nephews. But every time we have visited, I always leave with a sadness deep in my heart. For a family of my own. The rush and frustration (and sometimes fighting). Rob and Ashley are amazing parents. I watch them (probably more than they realize) in awe. I have watched them over the years and they blow me away with their consistency to maintain boundaries and rules, their focus on obedience and manners, but yet the love and joy that is always in their home. I have craved this ever since I became a part of this family. And now...it is finally happening. I debated writing this post, but my past has made me who I am. It has shaped the mother I will be. It has forever changed how I, how we, will be parents. We lost Jack in April of 2009. I lost a part of my heart, and although I have since healed and grown stronger, I will never be able to erase that day from my memory. I will forever remember how it felt, how he looked, and how I was so unaware that anything was happening at all. Things like this didn't happen to me. They couldn't happen to me. Losing Baby #2 made me an official pro. I didn't need pain medication. I didn't go to the hospital. We were in Chicago visiting friends. We are so excited to share our newly pregnant news with them. It was the day after we shared it that things went downhill. And I walked my little 10 week old baby to Northwest Medical because I didn't want to flush it. I walked him/her in a paper cup because that was all that was in the hotel room. It took a while to get pregnant after that, but we did. 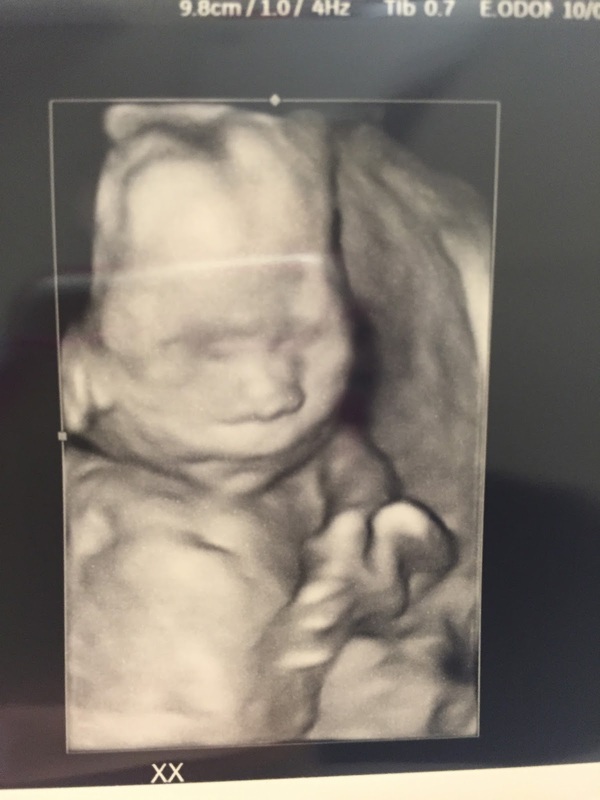 It was the first appointment, the first ultrasound that now officially sealed my fate. Just floating there on the screen. And it took a full month for me to pass it. During that time we attended a wedding, visited friends with new babies and cried. Then we got into the IUI business. So in 2012 we took a leap of faith into IVF. 7 grew to Day 5. We were elated to find out 1 took. We named her Grace because it was this pregnancy that truly taught me what the Grace of God feels like. To be in so much pain, and yet feel so much peace. And even though I pleaded with the Lord to just let me have this baby, I knew she wasn't mine to keep. I had her in my bathroom. And I tore open the sac so I could hold her in my hand. I stroked her back, arms and legs. And I told her I was so sorry I couldn't keep her. I still feel her, see her, hear her. Every time my wind chimes blow, she surrounds me. And last, our sweet boy. It was the appointment to start me on blood thinners. Just a quick ultrasound to check on him. Even though my numbers from my blood draw were good, I felt very uneasy going into the appointment. It wasn't long into the ultrasound that I knew....he was gone. Our two little miracles being carried my strong and faithful sister-in-law. Heavenly Father truly has a plan for us. I will always be ONE in FOUR. I will be a better mother. Today was a good day indeed! I was a blubbering mess today. Today I got to see my babies. 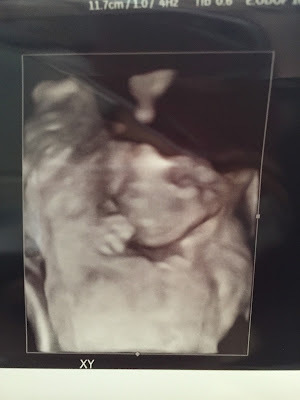 Ashley had an appointment today and they did a 3D ultrasound. Today I got to see, really see our babies. These pics really made it REAL for me today. And it just made me so grateful. I felt so much love. I felt surrounded by the Spirit. And I felt the love that my Heavenly Father has for me, for us, for our family. This experience is truly a miracle and the greatest blessing I will ever know in my lifetime. 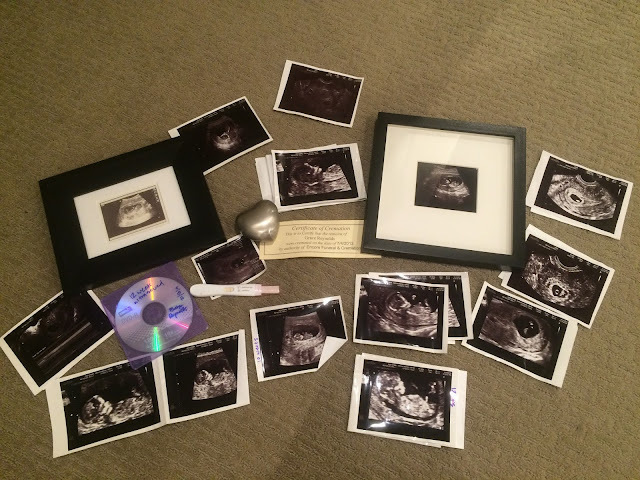 Ashley also confirmed that our little boy has MOVED! The placenta has moved and the bleeding has stopped. The power of prayer my friends - is real. Thank you for each and every positive thought, prayer...wish. We are truly in the presence of angels. She is truly rocking it. I am in constant awe of her attitude and her faith. Our babies are so lucky to be able to spend this time with her. I finally am feeling comfortable in buying things for the babies. I really feel like this is our chance. I can't wait to hold them. I can't wait to be a mom. To top it all off - I got my first shower invitation in the mail. A bunch of girlfriends are getting together in Utah next month to celebrate. My lovely friends are coming in from Oregon, California, Idaho and Utah to help me celebrate this wonderful occasion. I just thought I was never going to get one. 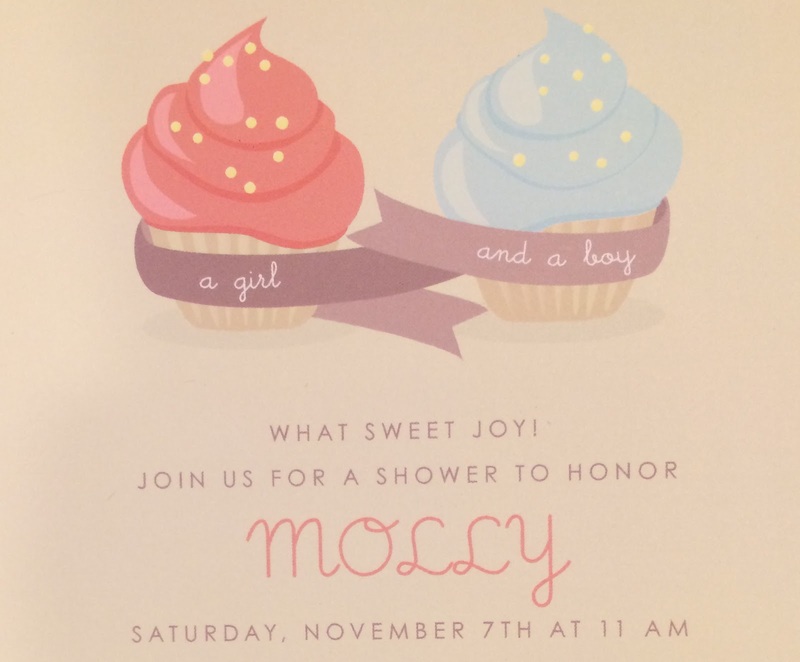 I never thought my name would be on an invitation. I never thought so many wonderful people would gather together to celebrate....me, us...them. I can't wait to be in the presence of such wonderful women who have played such a significant role in the many phases of my life. PS! Another gift at the door! More onesies. Thank you to whoever is making time fly and making it fun! I love you very much! I hope that you will be able to travel to Colorado safely and that your surgery will be successful. You are the greatest mom ever! I also hope that you will have a good time and promise me to try to have no frowny faces! If you ever get aggravated or upset, just remember you are doing an amazing thing for someone you love and it is really going to make her (and him) happy. 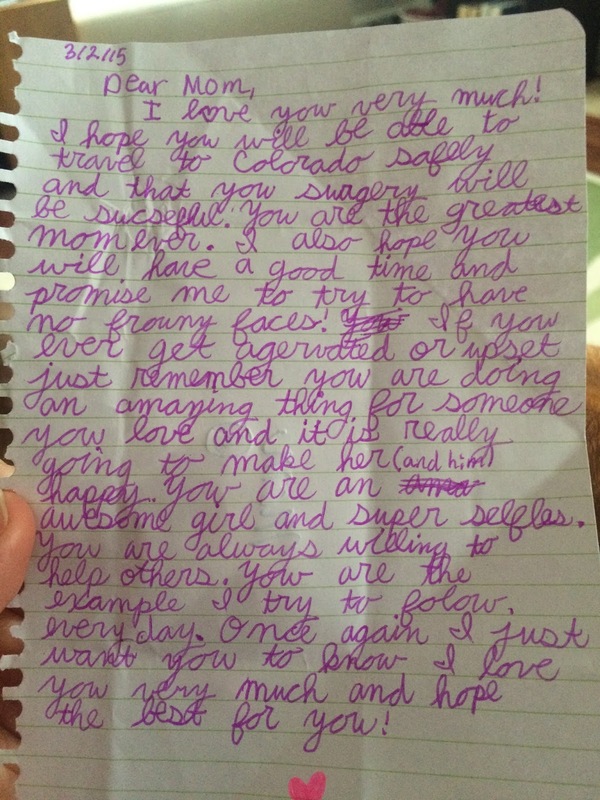 You are an amazing girl and super selfless. You are always willing to help others. You are the example I try to follow everyday. Once again I just want you to know I love you very much and I hope the best for you! I don't know about you, but every time I read this I tear up. My niece is 10 years old (9 when she wrote this). She gave it to Ashley when she was traveling out her for a polypectomy (pre-transfer) in March. My heart just wants to burst with pride - AND I AM ONLY HER AUNT! I can't take ANY credit for this girl/woman/person she is turning out to be. I am so excited to be bringing up a girl that will have not only a role model in their aunt, but also their cousin. I so look forward to watching Emery mother these babies. I know they will admire her, respect her, love her and look to her example as they grow. I only hope I can do half of the job Ashley and Rob have done with their kids. They continue to amaze and inspire me everyday. I am overwhelming grateful for this opportunity. I hope my sweet niece will remember this experience and draw from it as she goes throughout life. I love you my sweet Em.